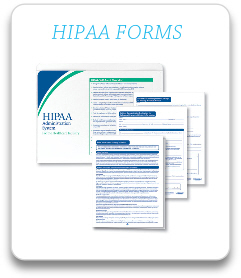 When it comes to Labels and Filing or Billing, it's hard to beat ProCare's selections and great deals. 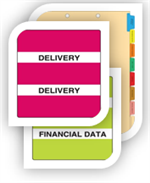 ProCare offers the largest selection of Filing Labels, Alpha Labels, Numeric Labels and Stickers available. 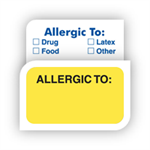 Choose from hundreds of styles like Allergy Labels, HIPAA Labels, Year Labels, Collection and Billing Labels, Insurance Labels and of course, our latest offering EMR and EHR Labels. 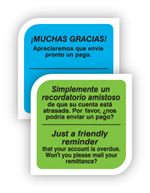 If you do a lot of mailing we offer Mailing Labels. 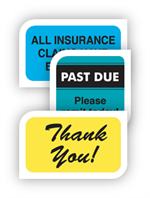 We have Name Labels, Month Labels and Insurance Labels. We've tried hard to select the labels you use and need most. We have choosen Alpha Labels and Numeric Labels from companies like Ames Labels, Arden Labels, Barkley Labels, Colwell / Patterson Labels, Control-O-Fax (COF) Labels and manufacturers like Col-R-Tab (Tabbies), PMA Labels, Jeter Labels, POS Labels, Kardex Labels, GBS (VRE) Labels. In addition, we offer Safeguard Labels, Reynolds & Reynolds Labels, Smead Labels and TAB Labels. In the near future we are adding Acme Labels, Brunswick Labels, File Doctor Numeric Labels, IFC /AFV Labels and Sav-Tyme Labels. 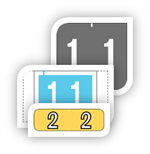 We have over thirty-five different companies represented in our Year Labels, Year Bands, Year Stickers and Year Tags. 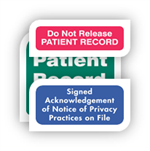 ProCare offers a complete line of Trancription Labels, Laser Transcription Labels and Transcription Labels on Rolls. 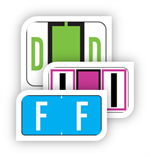 Transcription Labels are available in a single box or in bulk quantities. Whatever your Label needs are, ProCare most likely has them.